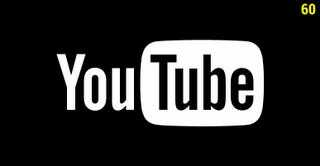 YouTube Is Getting 60 FPS Support. FINALLY. YouTube videos are about to get a significant upgrade: Per the YouTube Creators Twitter feed, support for 48 and 60fps YouTube videos is coming soon. Higher frame-rates will be a boon to anyone who wants to post footage of video games in action, particularly PC games, as many of them run at frame rates above YouTube's current 24fps frame rate. As a result, YouTube videos should give a much better sense of what the game in the video actually looks like to the person playing it. Good news! I've been using Nvidia's Shadowplay to record 60fps videos for a little while now, and it's nice to know I'll finally be able to easily share those online.